In case you didn’t work out from the title, I spent last weekend in Melbourne. Now I’ve spent twenty years traipsing to and from Melbourne, largely via car (which from Sydney is a very, VERY long, boring drive). But this was only the second time that I’ve visited Melbourne sans-parents. Last time I was eight. I decided in advance to make this a right proper tourist trip. SLR and map in hand, I landed in the city prepared for a weekend filled with wondrous adventures, beginning with the quintessential Melbourne experience: catching a tram. 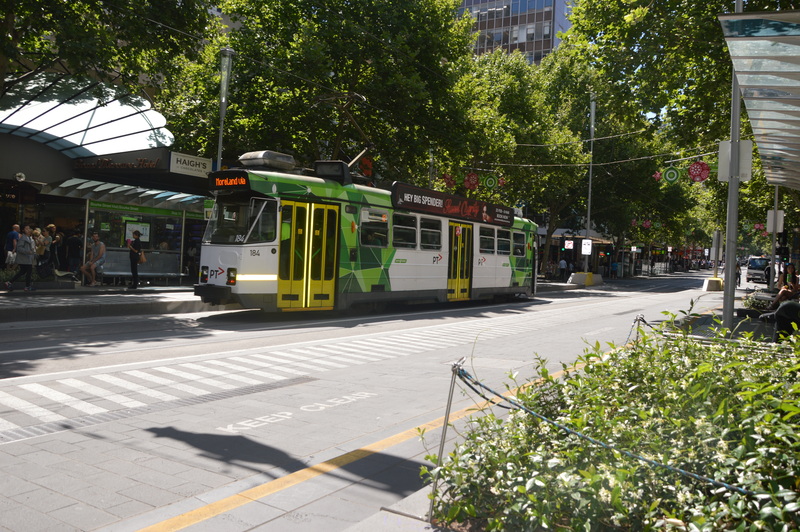 Melbourne is fairly well known for it’s trams, at least since the best city in Australia (Sydney) abolished it’s tram system. Except for the one I caught to St Kilda, they are largely air-conditioned although good luck getting a seat on them! First stop on my tourist adventure was St Kilda. St Kilda is one of those cool beach-y towns filled with ice cream stand, fish and chips and of course the golden sand that Australia is famous for. 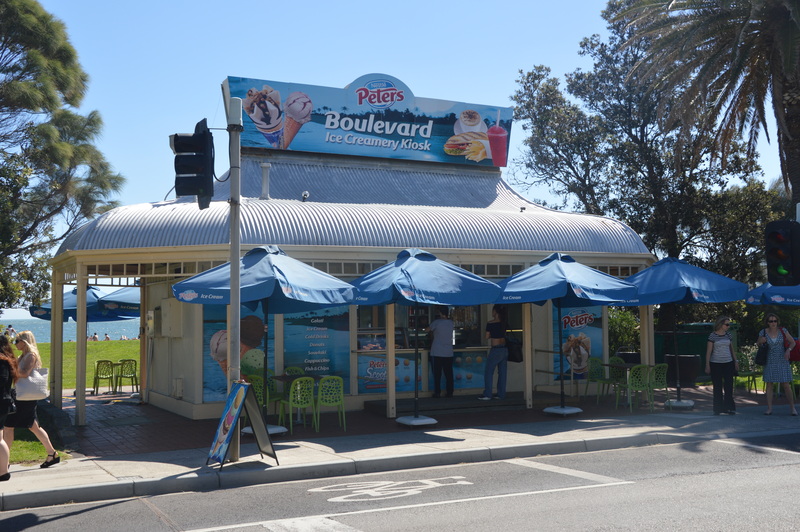 Stop #1 was the Peters’ Ice-Cream Stand on St Kilda beach, to recover from our hellish thirty-six minute un-airconditioned tram trip. Trams are no longer whimsical modes of transport, halfway between trains and buses – give me a bus any day! Cute little ice cream stand! By the time we got to St Kilda it was nearly 4pm, so after spending half an hour on the beach I had to head back to North Melbourne to say hola to my grandparents – considering they put me up for free all weekend, it was the least I could do! After a wonderful dinner of fish and chips from my favourite takeaway shop on their street, we went shopping and I collapsed into bed around midnight. That was Day One in Melbourne – stay tuned for the next two days! Previous To Card Or Not To Card? 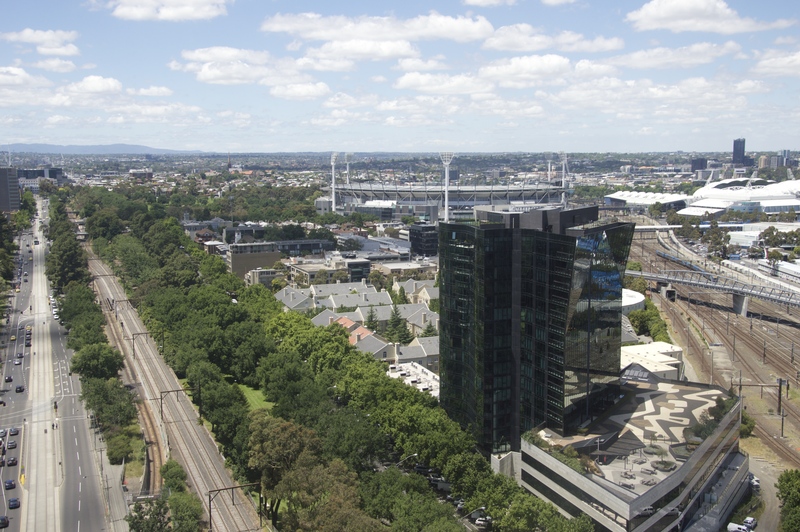 Next Melbourne Part II: Where the heck is Yarraville?